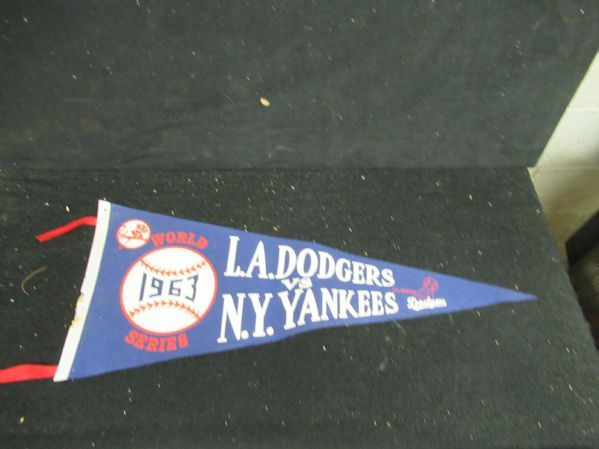 1963 World Series felt pennant (NY Yankees vs LA Dodgers). Has (4) original tassels. Tip end is sharp. Has just a little wear on white striping.